All of our carports, garages, storage buildings, barns, RV covers and assorted storage combos are custom made of top quality steel right here in the U.S. (no imports). With our versatile product line, we can create the right size and style structure to meet your needs. Our knowledgeable staff and experienced installation crews will make your carport or metal building project a valuable asset to your property. This local church needed to protect their vans from the weather. This barn was built on sloping asphalt. 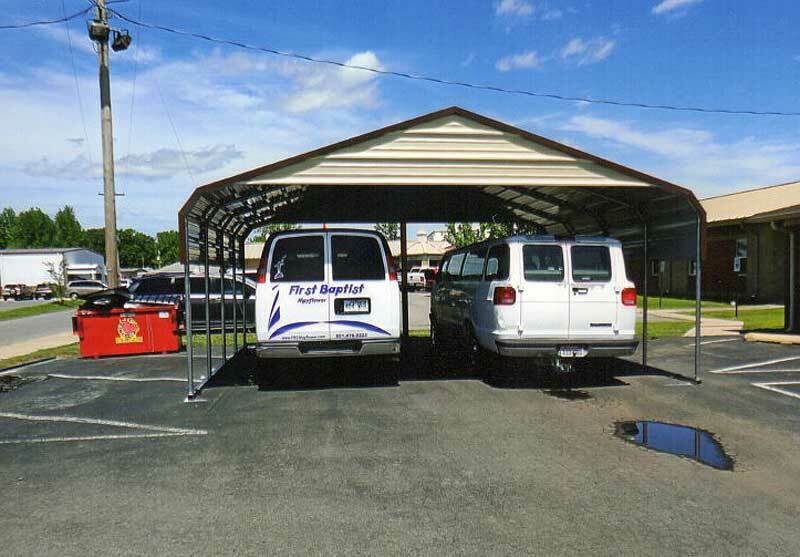 This carport had to be raised to allow for the height of a passenger van. This RV cover took extra effort due to being built close to the existing garage. This RV cover had to be made extra wide to allow for slide-outs on RV. 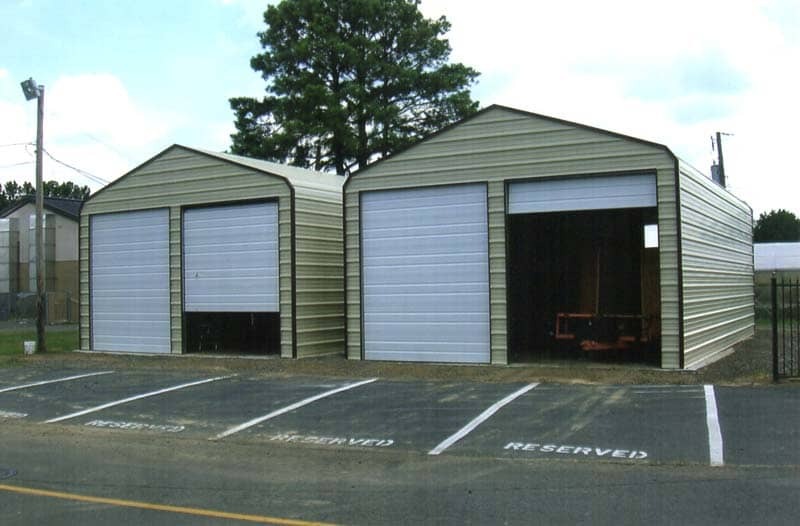 This custom building was needed by a business for storage and also to allow for a covered smoking area for employees. This custom building has a special cut out for an RV. This building was modified with the addition of a side door for easier access. It has a 9 x 7 garage door. 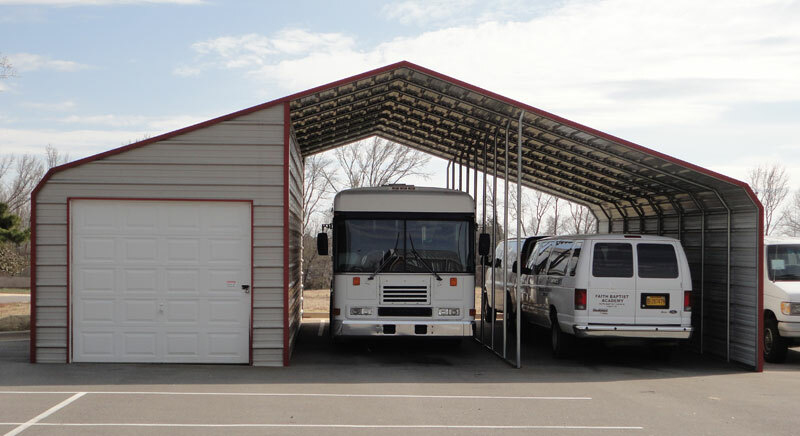 This carport had to be raised to allow clearance for complete bus maintenance and open storage.